It has been a busy August in our house to stay the least. I’m looking forward to school starting up in a few days so we can return to a routine. Before we could that, we had one last end of summer getaway last week. 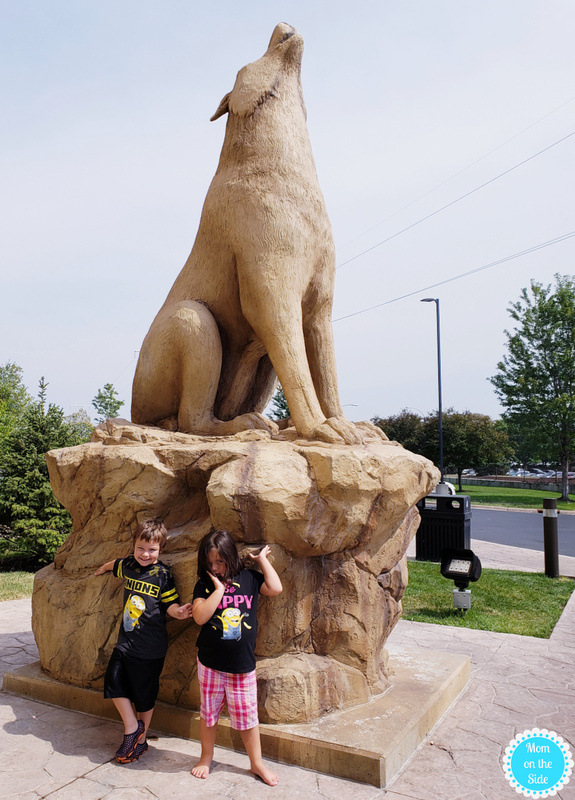 We packed all the kids up and hit the road for 5.5 hours to Minneapolis for the BEST TIME at Great Wolf Lodge Minnesota! 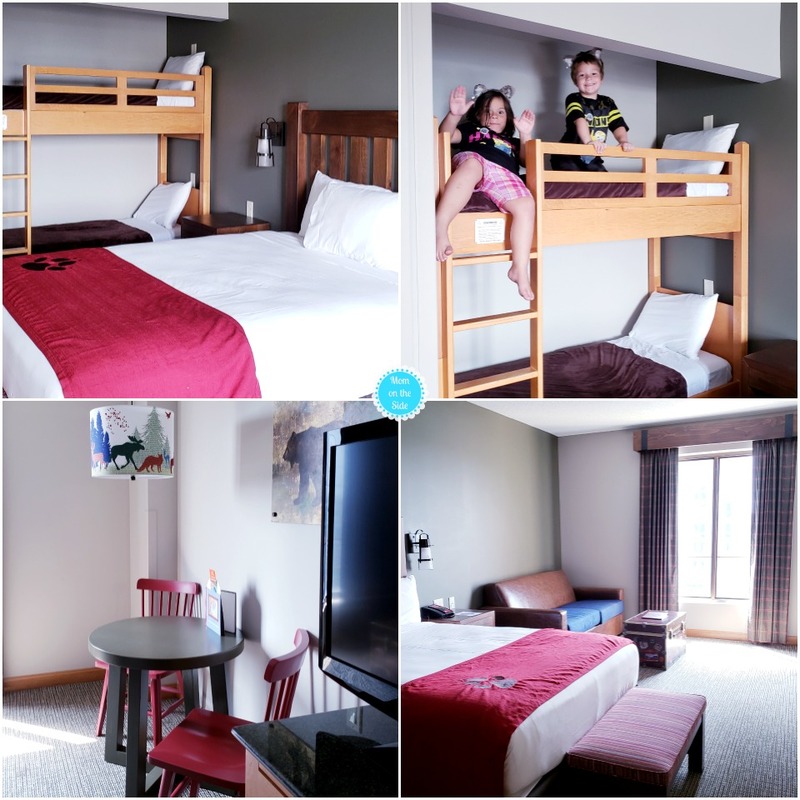 This was the first time any of has had been to Great Wolf Lodge and each one of us had our own favorites by the time we left. 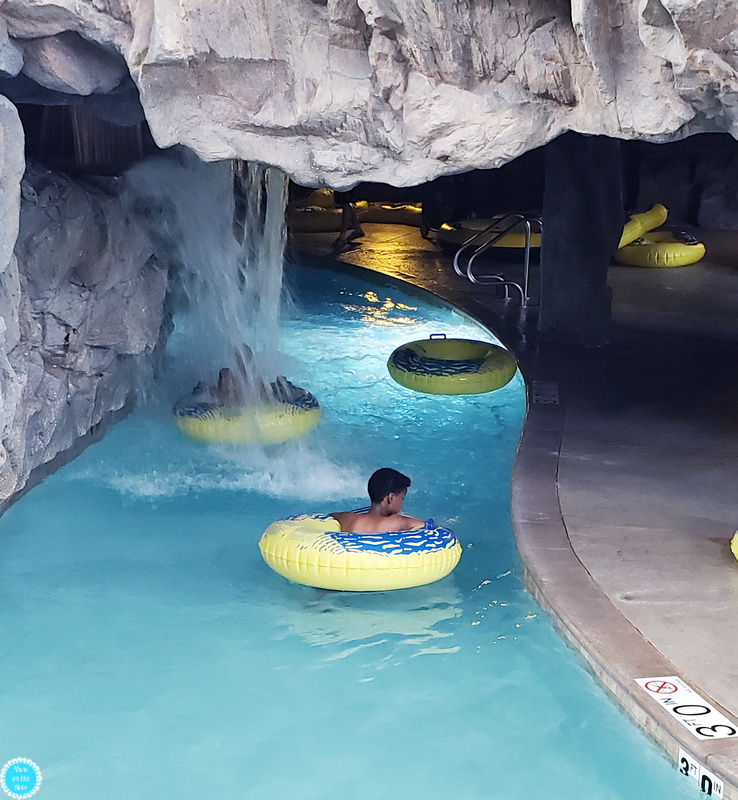 If you are planning an upcoming vacation to the Minneapolis area with your family, here are my 9 secrets to having the best time at Great Wolf Lodge Minnesota! Even though check-in isn’t until 4 PM you can enjoy the water park as early as 1 PM on the day of your arrival! Pack swimsuits separately from your suitcases in case your room isn’t ready. That way you can easily leave your bags with the front desk and head to the waterpark to change and play! Speaking of the water park, it was pretty good sized area with plenty of space to get around, play, and relax. We hit Crooked Creek, the lazy river, first. It’s a favorite of my twins because they can float along in their life jackets. The Slap Tail Pond motion ocean area is also another favorite of theirs, along with Fort McKenzie and Club Paw Pool. Both of those areas are designed for kids with a dumping bucket, squirt guns, slides, and lots of other kinds of water play items. My husband and oldest daughter loved the slides, especially River Canyon Run. It features a splash cinema with lights and an interactive experience. There are several themes to choose from so you can make each ride a little different. They took the twins on with them and Miss Charlie said it was terrifying and never went back on. Mr. Oliver, however, has a newfound love for slides and hit several with his older sister and dad. 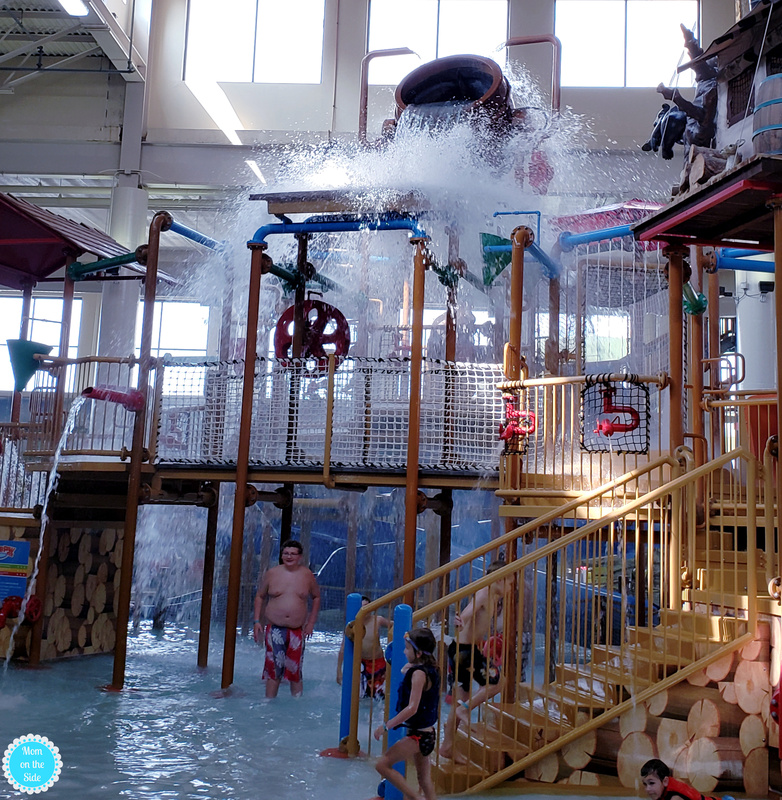 Safe to say there is fun to be had for all ages at Great Wolf Lodge Minnesota! There are all kinds of activities to enjoy beyond the waterpark. 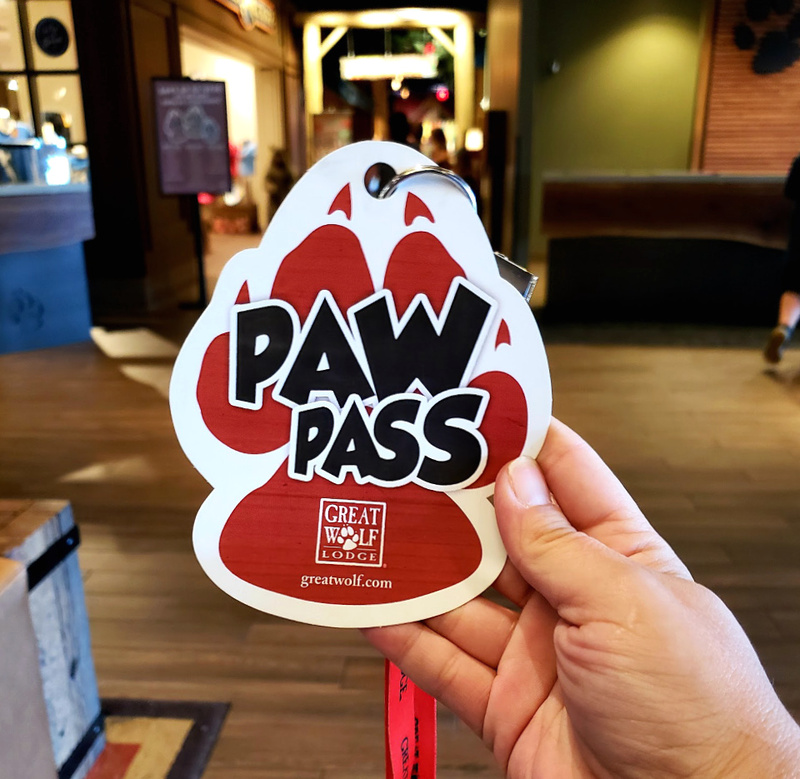 One of the best ways to save money and have tons of fun is with Great Wolf Lodge Paw Passes. All four of my kids had one and it made for a fun evening going around and redeeming each of the items. 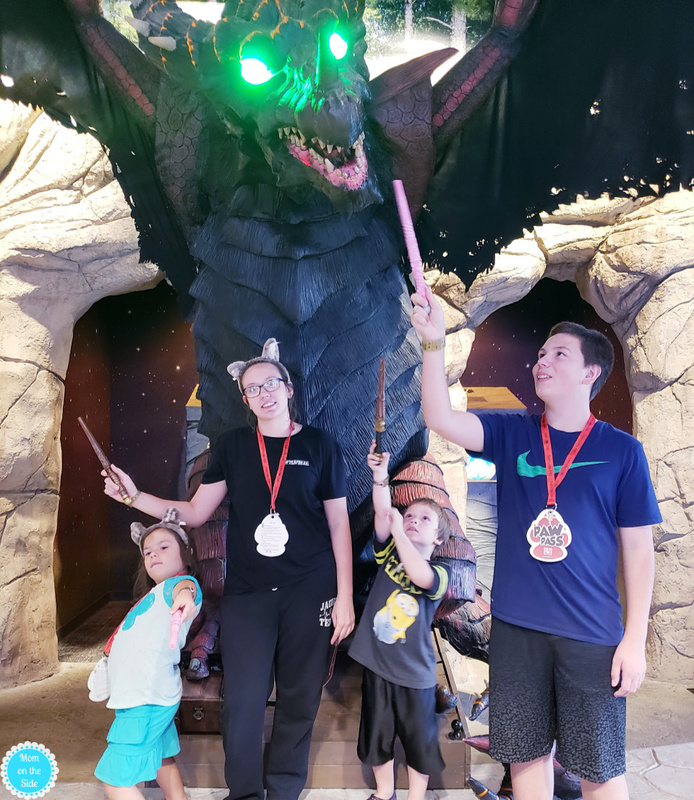 Choice of classic/color wand, standard topper or Magi belt – all of my kids picked wands! One Creation Station animal (outfit not included) – these are nice animals the kids get to help stuff (similar to Build-A-Bear) and they also give you a drawstring bag to carry them around in! One Great Wolf Lodge Candy Shop candy cup – fill it up with things like jelly beans, gummies, sour candy, taffy and more! One Glitz Glitter Tattoo – this is one you’ll want to save until you’re all done swimming! One Leather Treaty wristband – these are very nice wristbands and you get to pick out the style you like as well as watch it be engraved! 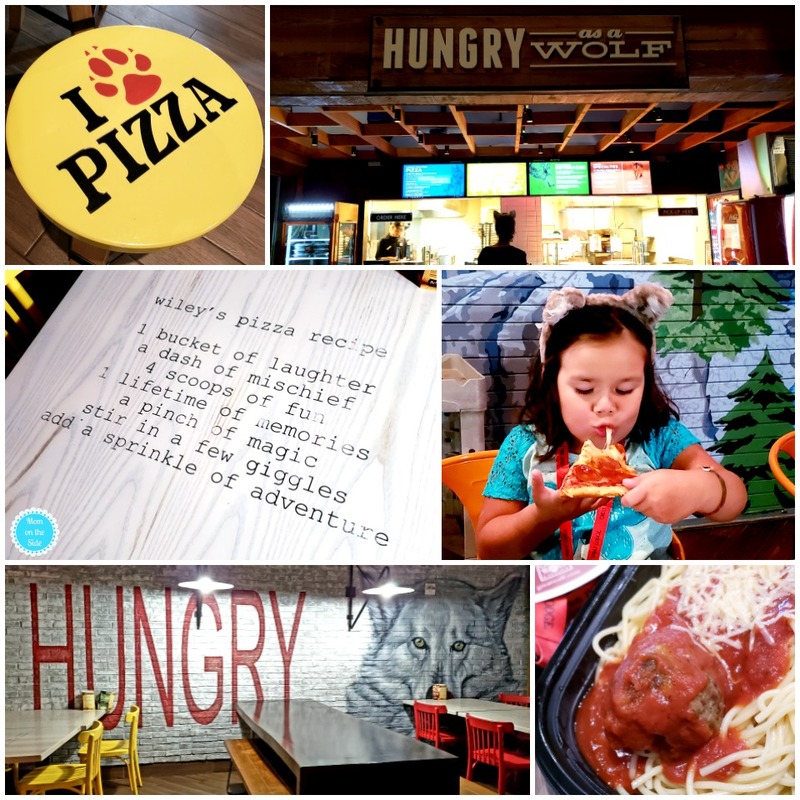 My entire family loved dinner at Hungry as a Wolf and they are picky eaters so I highly recommend it! Big portions of pasta with large delicious meatballs, perfectly cooked slices of pizza, and really affordable prices. It’s up on the third floor with a great view overlooking the water park too. 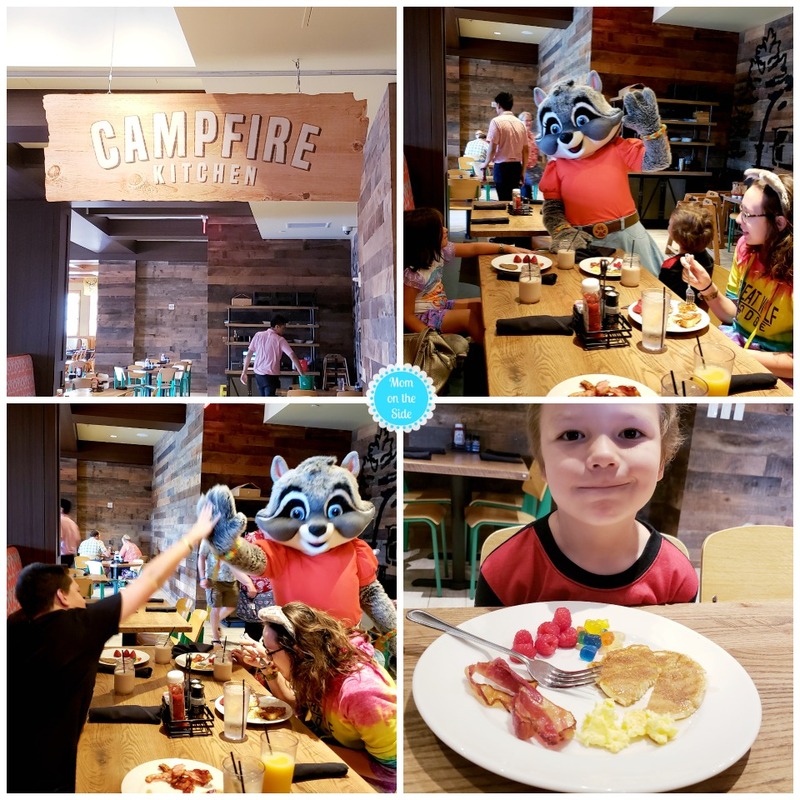 Campfire Kitchen offers a breakfast buffet in the morning and I was really pleased with the selection. Eggs Benedict, waffles, pancakes, sausage, bacon, eggs, hash browns, cereals, yogurt, pastries, fruit, all kinds of toppings, and even gummy bears! Plus, you may even be surprised with a character breakfast at Campfire Kitchen! Rachel Raccoon stopped by while we were eating and even my tween son got in on the fun! 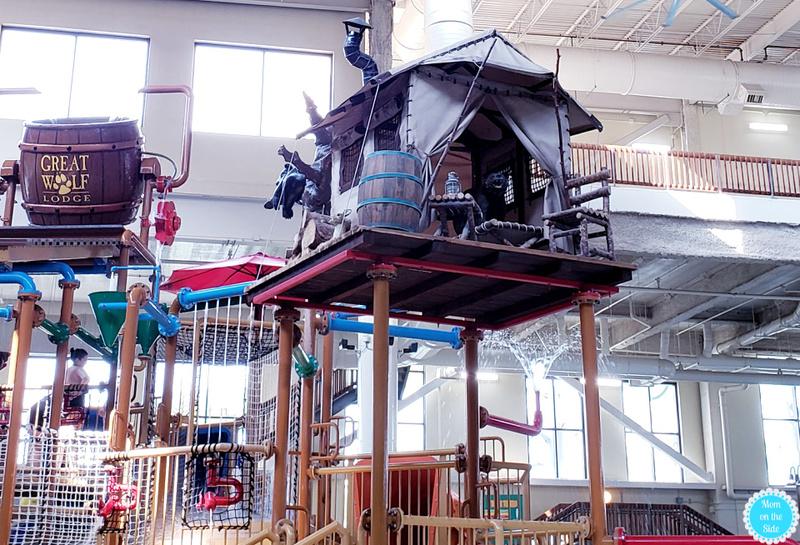 There is rarely a moment when fun isn’t happening at Great Wolf Lodge Minnesota. 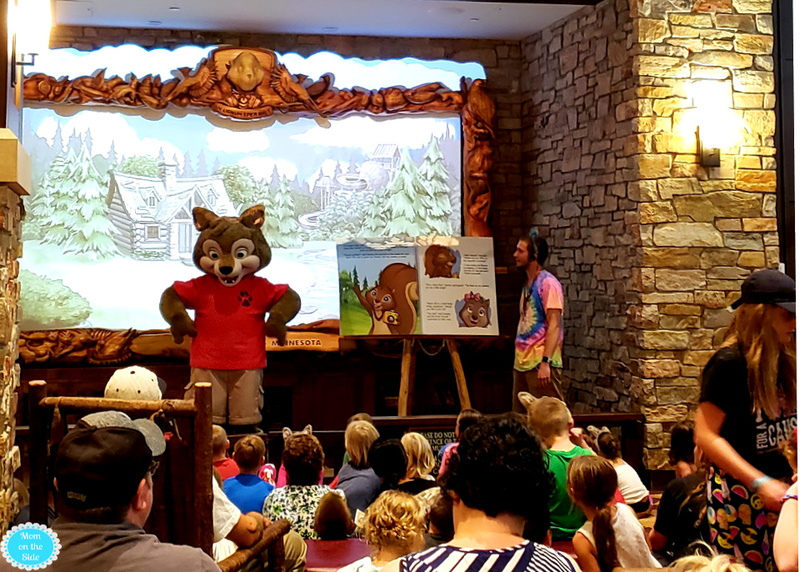 From starting the day with Wolfercise, to afternoon arts and crafts, to character meet and greets throughout the day, to ending the evening with a jammie jamboree and story time! 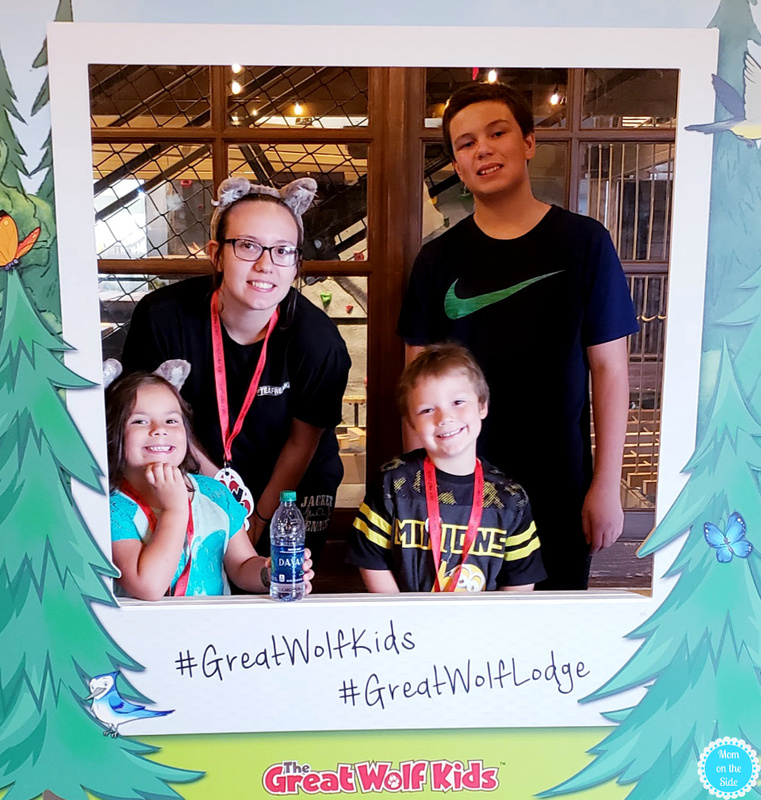 That’s not even all of the daily activities at Great Wolf Lodge so make sure you grab a schedule at check-in and take advantage of them. 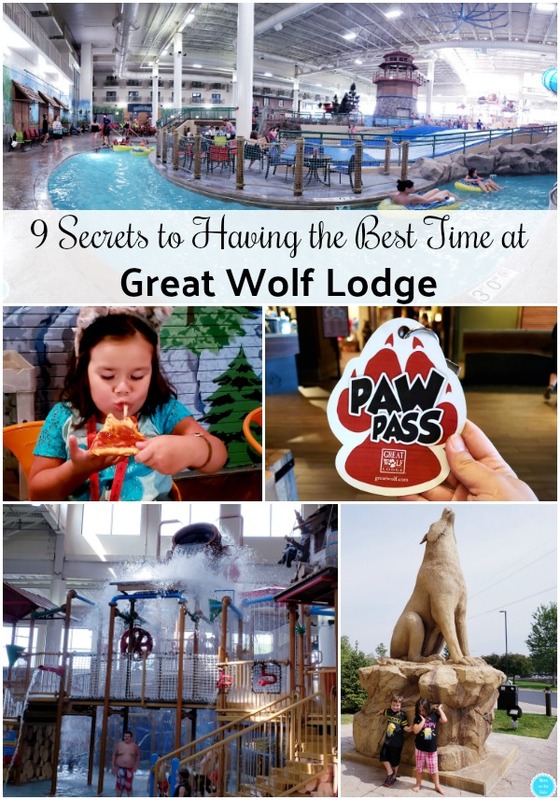 Parents this is one to help us make it the BEST TIME at Great Wolf Lodge Minnesota…if you know what I mean! 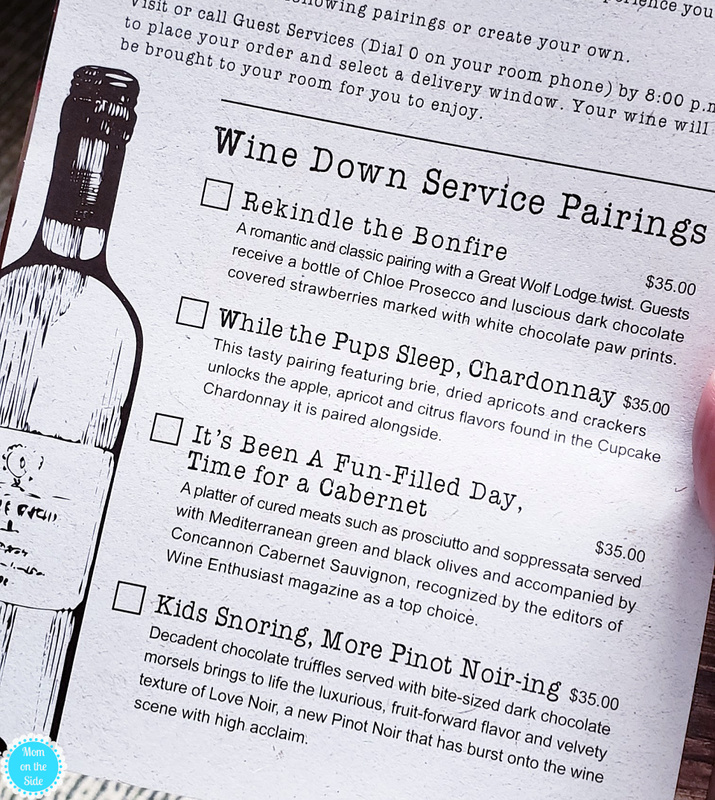 Great Wolf Lodge Wine Down Service is the perfect way for parents to finish off an adventurously busy day. Simply call guest services by 8 PM to place your order and select a delivery window. Your wine will be delivered to your room and they will text you when it’s outside instead of knocking and waking the kids up. There are several choices of Wine Down options. Each one is $35 and includes a bottle of wine with a complimenting pairing like chocolate dipped strawberries, cured meats, and brie with dried apricots and crackers. 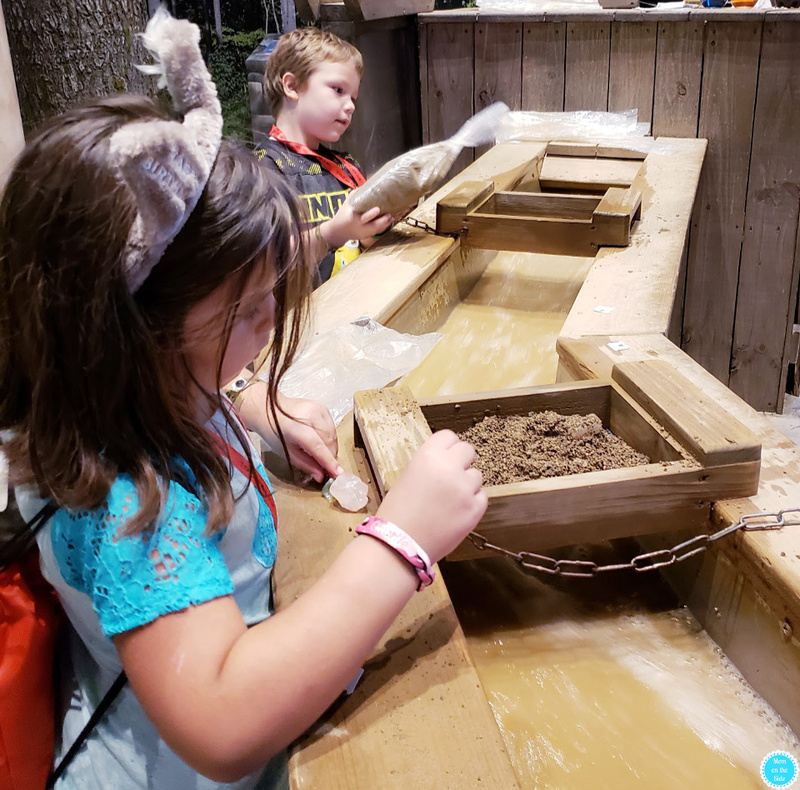 MagiQuest at Great Wolf Lodge Minnesota was a highlight for my oldest two children for sure! It was included with our Paw Passes, as well as wands to bring the game to life. Throughout the property, there are pictures, objects, and interactive things you can bring to life with your wand. You will be given tasks and things to find in order to slay the dragon at the end. 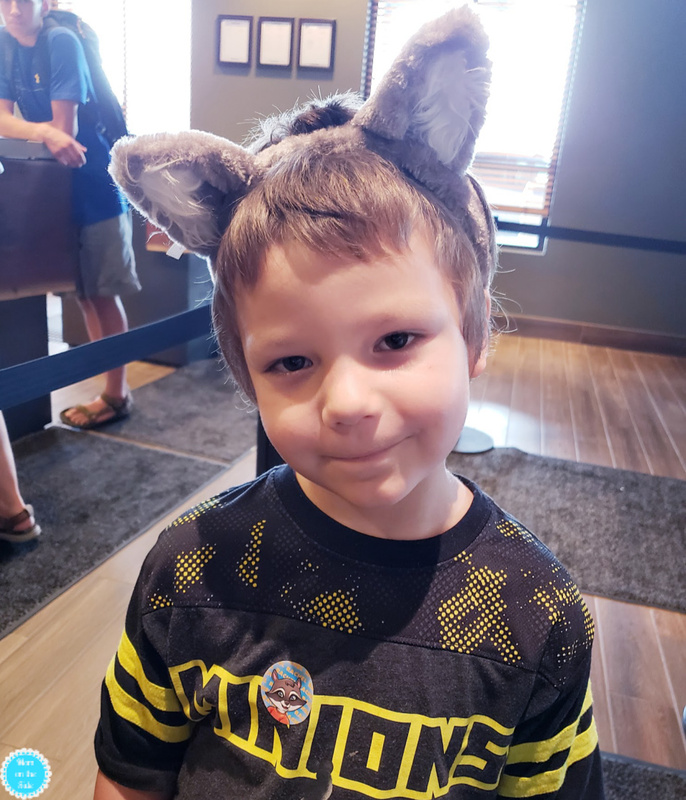 The best parts, wands can be used over and over again at all of the Great Wolf Lodge properties! The room we stayed in at Great Wolf Lodge in Minnesota surprised me with its space. At first, it seems small but even with all six of us in there, we had space. In our room, we had a bunk bed, queen bed, and a pull-out couch along with a table and chairs. Each room has a fridge so you can bring things like milk, soda, bottled water, and other snacks the kids may want. There is also a microwave which came in handy for our leftovers from Hungry as a Wolf! Check-out may be at 11 AM but you can stay and ALL DAY on the day you leave! That means even more time in the waterpark, or to play MagiQuest, or to tackle to rope challenge, or to finishing getting all your Paw Pass items. 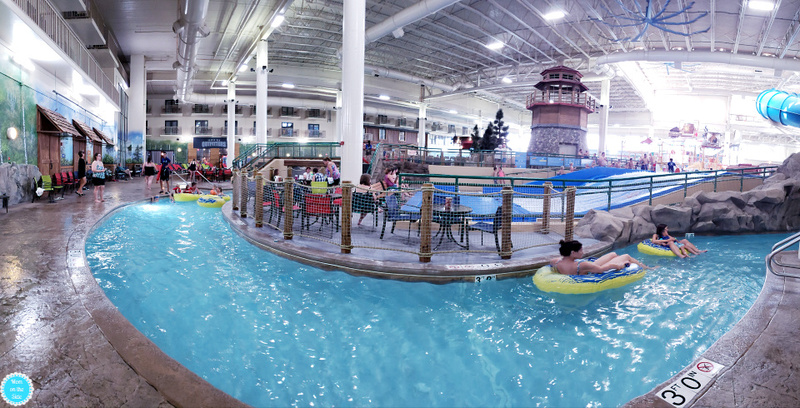 Through August 25th, the Howl N’ Splash Summer Bash is going on at Great Wolf Lodge Minnesota! 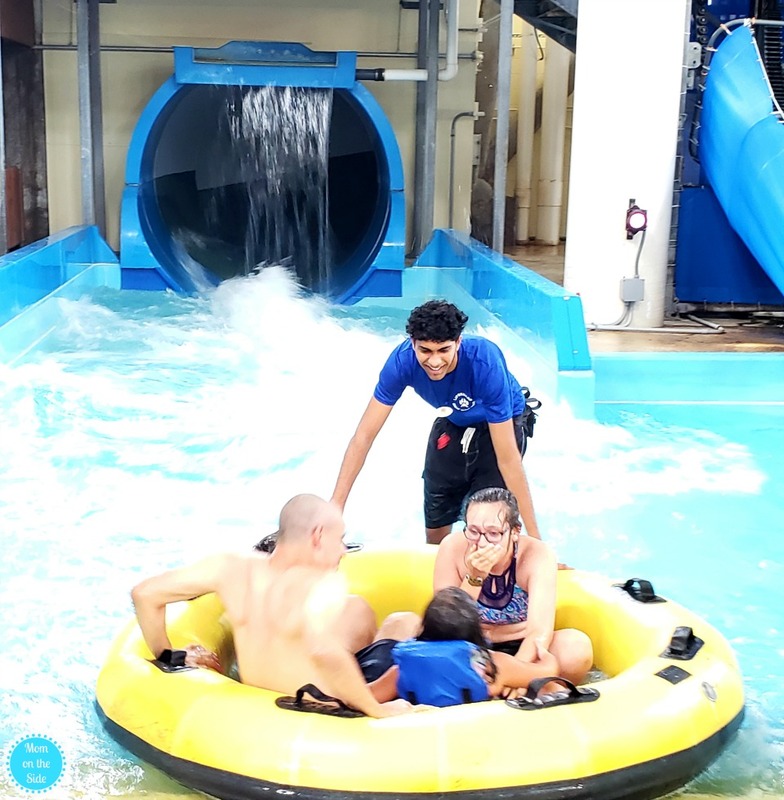 Additional fun includes drive-in movies in the water park, “camp-outs” with s’mores, special celebrity concerts and appearances at story time, and more! Monday through Friday brings new fun between 8 PM – 10 PM so make sure you ask at check-in about the day’s festivities!